“One 16-year-old went looking for pot at a Brookline High School graduation party, then shot the guest of honor in the chest when he got a racial slur instead. The other 16-year-old stabbed a man 23 times inside his Springfield apartment, returning the next day to steal things from the victim’s home while his body lay nearby. Both crimes were horrific, but the punishments were strikingly different. The murderer in Springfield, Edgardo Rodriguez, accepted a plea deal for the 2004 killing of Joel Rivera Delgado, allowing him to potentially walk free within the next decade. 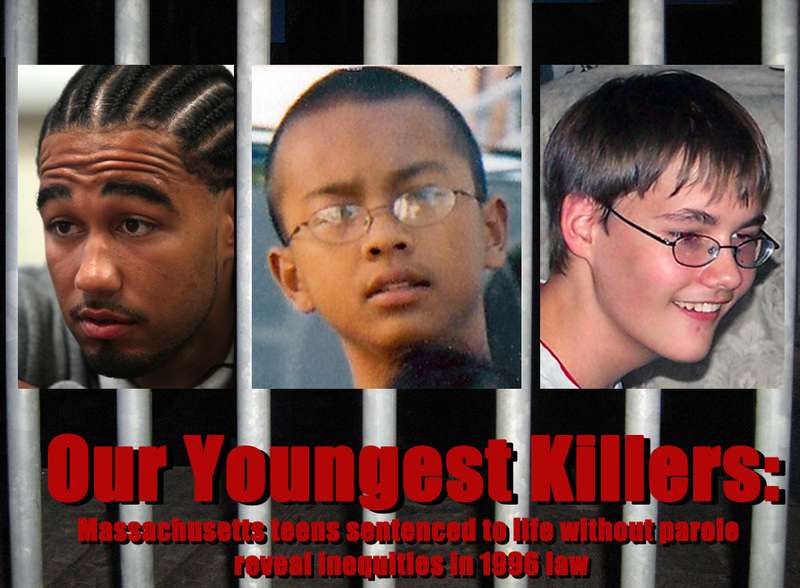 The other teen, Antonio Fernandez, took his 2002 case to trial and received the harshest juvenile sentence Massachusetts permits — the harshest in the country, in fact — for shooting Perry Hughes: life in prison without the possibility of parole. Until then, Fernandez had never been charged with anything worse than stealing video games. Now, he’s sentenced to die in prison. The cover story for the January 2012 issue of Harper’s Magazine is Christopher Ketcham’s “Stop Payment!” which discusses efforts to rally homeowners to fight back and file lawsuits, if their mortgages were packaged for sale as financial products. Leading the efforts, and Ketcham’s story, are the people behind the National Homeowners Cooperative and the website Protect America’s Dream. Ketcham also discusses the landmark Landmark National Bank v. Boyd A. Kesler decision, in Kansas, which was one of the first rulings to note that packaged mortgages had failed to maintain properties’ title chain. Portland, Maine – Colin Woodard’s fascinating investigative profile of Maine’s governor, written for The Portland Phoenix, explains how an improbable candidate and the Tea Party movement combined to win Paul LePage state-wide office. “[Paul] LePage’s actions in his first year in office suggest that his poverty-to-power experience has led him to see the world from the top down, and that helping the poor is best done by helping those who employ them and by withdrawing support that might tempt them to depend on others, rather than by working hard and earning the attention of benefactors. 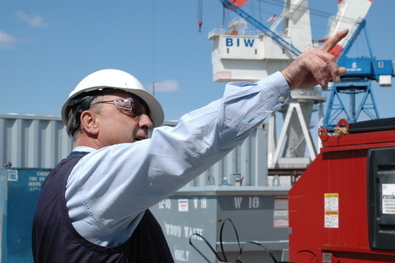 His journey through the decline and collapse of Maine’s old industrial economy appear to have taught him that environmental and labor protections kill jobs. Washington – The Fund for Investigative Journalism is putting out a special call for proposals taking a sharply focused, investigative approach to two important public policy issues: 1) economic inequities in America, and 2) climate change. These special grant opportunities have been made possible with a $50,000 grant from the Green Park Foundation. Grant proposals will be reviewed and voted upon by the board of the Fund for Investigative Journalism. The board is interested in funding projects that break new ground. If a proposal incorporates angles that have received some attention in the media, applicants are asked to acknowledge the work already done, and explain how the proposed reporting project will dig more deeply and/or significantly advance the story. The next deadline for proposals is Wednesday February 15 at 5pm Eastern time. Grants will be awarded in March. Grant deadlines for April and September will be announced later in the year. Support for FIJ’s investigative reporting grant program comes from the Green Park Foundation, the Ethics and Excellence in Journalism Foundation, the Park Foundation, the Gannett Foundation, the Otto-Whalley Family Foundation, The Nara Fund, Inc., and individual donors. Grant awards average $5,000. Applicants are encouraged to review detailed instructions on the FIJ website, and call or email executive director Sandy Bergo with any questions: fundfij@gmail.com, phone: 202-391-0206. Applications are filed online: www.fij.org. Washington – The Fund for Investigative Journalism has moved to the National Press Club, on the 13th floor of the National Press Building in Washington DC. The office is located in the newly renovated Eric Friedheim National Journalism Library, also home to the Press Club’s Journalism Institute which offers training, panel discussions and other professional development programs for journalists and as well as scholarships for journalism students. Tha National Press Club facilities provide a hub for journalists and newsmakers from around the world with leaders from government, politics, business and the arts visiting each day to speak at public and private events. With more than 3,500 members, the National Press Club is dedicated to the ongoing improvement of the profession of journalism. The new address for FIJ is 529 14th Street – 13th floor, Washington DC 20045. “‘Until someone figures out how to get more hours into a day than 24, it is absolutely mandatory that we find ways to collaborate,'” says Florence Graves, founding director of the Schuster Institute for Investigative Journalism. So about a year ago, when Graves sought to launch a fellowship program that would provide resources for freelance journalists working on long-form investigative projects, she brought the idea to Sandy Bergo, executive director of the Washington, D.C.-based Fund for Investigative Journalism. The Schuster Institute for Investigative Journalism at Brandeis University and the Fund for Investigative Journalism (FIJ) in Washington, D.C. announce the launch of the Schuster Institute & Fund for Investigative Journalism Fellowships, an innovative investigative journalism collaboration with reporting on vital social justice and human rights issues as its core mission—reporting now endangered in mainstream newsrooms. Based at Brandeis University’s Schuster Institute for Investigative Journalism, the Fellowship provides talented independent reporters with a blend of funding for their projects from the FIJ and professional guidance, including editorial and research support, from the Schuster Institute. Drawing from a pool of journalists previously chosen to receive FIJ grants for their work, the Schuster Institute selected seven outstanding grant recipients as Fellows. Their selection was based on the potential impact of their projects and their demonstrated commitment to reporting about injustice. The Fellows are investigating a wide range of significant issues—from undercover reporting about America’s food system to the residual health effects of undetonated munitions in Laos to child sexual abuse in Orthodox Jewish communities—as their work spotlights abuses of institutional power in the United States and globally. FIJ provided the new Fellows with crucial startup funds to launch their time- and resource-intensive reporting. The Schuster Institute gives them an intellectual home where professional journalists provide editorial and strategic guidance and other support, including extensive efforts to promote and magnify the power of their findings using the Institute’s impact journalism strategy. Newly hired Schuster Institute Executive Editor Melissa Ludtke and Founding Director Florence Graves are developing the Institute’s expanded fellowship program. (These new Fellows are joining seven other journalists who are already part of the Institute’s Ethics & Justice Investigative Journalism Fellowship Program.) Ludtke served for 13 years as editor of the Nieman Reports at the Nieman Foundation for Journalism at Harvard University and is a former Time correspondent and Sports Illustrated reporter. Scott Carney is a California-based investigative journalist and author whose reporting on crime and corruption has lead him across the world to trace the trade and sale of humans and their body parts. He is the author of “The Red Market: On the Trail of the World’s Organ Brokers, Bone Thieves, Blood Farmers and Child Traffickers” (2011) and a contributing editor at Wired. Rebekah Cowell is a North Carolina-based investigative journalist whose work is focused on low-income, minority communities who live next to hazardous waste facilities but have no platforms to voice their concerns about diseases related to pollution exposures. She is currently working on a six-part environmental justice series underwritten by a George Polk Grant for Investigative Reporting. Tracie McMillan is a New York-based investigative journalist whose reporting explores economic inequality and the food system. For her forthcoming book, “The American Way of Eating: Undercover at Walmart, Applebee’s, Farm Fields and the Dinner Table,” McMillan went undercover to learn what it takes to stay well-nourished in low-income America. Hella Winston is a New York-based investigative reporter, author, and sociologist currently focusing on serious abuses of power in Orthodox Jewish communities. She is the author of the book “Unchosen: The Hidden Lives of Hasidic Rebels,” for which she gained nearly unprecedented access and insight into highly insular Hasidic sects. The Schuster Institute for Investigative Journalism at Brandeis University, founded in in 2004, is the nation’s first nonprofit investigative reporting center based at a university, and the only one with a central focus on social justice and human rights. The Schuster Institute launched its Ethics & Justice Fellowship program in 2009—and has now expanded the program in collaboration with the Fund for Investigative Journalism—to support independent journalists covering vital issues in the public interest. Staff reporters and Fellows publish their work in a wide variety of outlets and cover topics such as: human trafficking and modern-day slavery; failures in public health care systems; fraud and corruption in international adoption; political asylum seekers in the United States; and political prosecutions in the federal justice system. The Fund for Investigative Journalism was founded in 1969 by the late Philip M. Stern, who was convinced small amounts of money invested in the work of determined journalists would yield enormous results in the fight against racism, poverty, corporate greed, and governmental corruption. Stern’s theory proved true in the Fund’s first year, when a tiny grant of $250 enabled reporter Seymour Hersh to begin investigating a tip concerning a U.S. Army massacre at the Vietnamese village of My Lai. A subsequent Fund grant of $2,000 allowed Hersh to finish reporting the story. During the following three decades, the Fund has awarded more than $1.5 million in grants to freelance reporters, authors and small publications, enabling the publication of more than 700 stories and broadcasts and some 50 books. Fund-supported projects have won a wide array of journalistic honors, including Pulitzer Prizes, National Magazine Awards, the Raymond Clapper Award, the George Polk Award, the Sigma Delta Chi Award, and many others. The Fund’s Executive Director is Sandy Bergo, a former award-winning television investigative producer and freelance writer. 2011 Bob Butler and Jessica Williams report for The Lens – “Each day, after wrapping up work as a streetcar operator, Kisa Holmes drives by to check on the house she bought in the Upper 9thWard just weeks before Hurricane Katrina – a house that now sits empty, gutted and deteriorating because she can’t afford to fix it…. Before making the first mortgage payment, Holmes, her husband and their five children fled 90 miles to Kentwood to escape Katrina. Like many others, she thought she’d be home in a couple of months. New Orleans – As Bob Butler and Jessica Williams report for The Lens, “Each day, after wrapping up work as a streetcar operator, Kisa Holmes drives by to check on the house she bought in the Upper 9th Ward just weeks before Hurricane Katrina – a house that now sits empty, gutted and deteriorating because she can’t afford to fix it…. 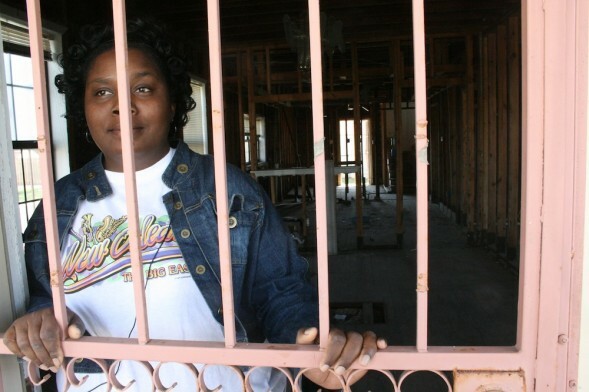 Before making the first mortgage payment, Holmes, her husband and their five children fled 90 miles to Kentwood to escape Katrina. Like many others, she thought she’d be home in a couple of months. 2011 Rob Gurwitt of the Connecticut Health I-Team – “Each time John Dempsey Hospital performs a cardiac valve surgery, the hospital receives a median payment of $82,589 from Medicare – about $23,000 more than the median paid to Danbury Hospital for the same surgical procedure. A pacemaker implant at Dempsey, part of the University of Connecticut, costs Medicare about $20,000—$2,200 more than Yale-New Haven, $3,500 more than Bridgeport Hospital and $6,300 more than the Hospital of Central Connecticut. Federal reimbursements for surgical procedures swing widely among Connecticut hospitals, a C-HIT analysis of available Medicare data shows, with Dempsey receiving a higher rate than other hospitals for most procedures. Yale-New Haven, Bridgeport and Windham hospitals also were consistently among the top five in Medicare reimbursements, according to the data.